Anyone that has been in business for a while has hit that point to where they need funding to keep the wheels moving. Typically we can tun to credit cards, a bank loan, or even friends and family. TV shows like The Profit and Shark Tank I think paint a drastically different experience from most Venture Capital (VC) or investment deals so we’re steering clear of those for this article. Now these aren’t quick fixes and will take a little leg work, but I think they are 4 great ways to not put yourself in personal debt, plus Thanksgiving dinner tastes 100% better when friends or relatives don’t owe each other money. Are you 22 years old or younger and want to drop out of college for $100k? Check out the Thiel Fellowship. Are you a green startup looking to reduce greenhouse-gas emissions and willing to travel to Amsterdam? Check out the Postcode Lottery Green Challenge. Check in your local market for smaller business plan competitions. Here in the FM area I’d take a look in Barnesville this fall. The benefit of the business plan competition is that it helps you really refine your pitch and is a validation point for your message and market position. We’re fortunate here in ND for having a business-friendly state that has worked hard to develop some beneficial programs. For example, Innovate ND, operates at several entrepreneurial centers offering bootcamp-type classes with expense reimbursement grants. We also have the only state-owned bank in the US that has been startup-friendly and works with area banks to partner on financing. If that wasn’t enough we have our state department of commerce has established a development fund, that has assisted many growth stage businesses and well as a handful of other grant based programs and incentives such as the APUC and investment tax credits. What I really like about Innovate ND is that you get to work with other entrepreneurs that are going through the same struggle to get customers and validate their product. Plus there are funds available to help you with needed paid resources such as sales and marketing. 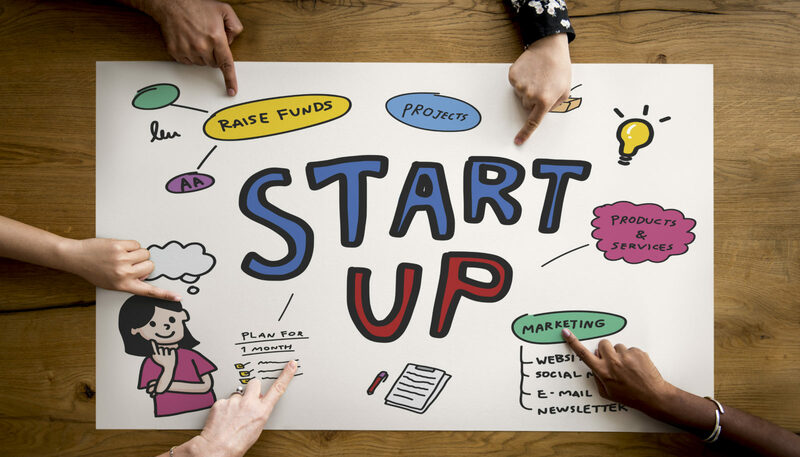 These days, the costs to start a business are at an all-time low, and over eighty percent of startups are self funded. It may take a bit longer to save some money before you start and grow organically, but the advantage is that you don’t have to give up any equity or control. Plus if it is your money it is more painful to let go of, so you might think twice about an expense that you think you might need. I personally like the combination of working on your startup while you have a full time job, it allows for you to get in front of customers to start learning while still having the stability of a normal income. Well I saved my personal favorite for last. If you have caught onto the theme of customer validation from my last 3 recommendations, this is the ultimate validation. What better way to find out if your customers want your product or service than to get them to pre-purchase it. There are a number of ways to do this. If you have a physical consumer product I’d recommend that you take a look at some of the crowdfunding platforms such as Kickstarter or Indiegogo. Browse through well funded Kickstarter projects and you’ll see a strong product with a great team behind them that really has a clear message. I’ve funded projects that have been wildly delightful and some that have handled communication just terribly (just read the comments). Just as a Mark Cuban is taking a chance on Shark Tank, you are playing micro VC by investing in someone’s product. If you have a digital service or product you can do the same thing but without the need for a platform. You can go directly to your customers and ask if you created this service or solution for them, would they buy it? If they say yes, then give them a sweet deal to make sure they aren’t just saying yes, but really believe in it. Lets say that you have a software product that you’d sell for $500 per month, could you find a handful of clients that would give you $6,000 (a one year fee) for lifetime access to the product? What is great about this direction is that you have taken assumptions out of the process and validated that there is a market for it. Sure you might be leaving a little money on the table by doing this, but trust me it is far better than putting 20k on a credit card with the assumption that your product will sell. So there you have it, those are my 4 debt free ways to fund your startup. If you are on the fence on how to best start, please reach out to us here at Codelation, we’d be happy to get a cup of coffee and chat.